The Horse and Groom strives to offer the highest standards in all aspects of inn-keeping whilst retaining a relaxed and friendly atmosphere, thus creating a home from home experience. Brothers Will and Tom Greenstock have been at the helm for over 10 years. With a reputation for hospitality excellence to uphold (established by their parents) they arrived at the pub in 2005 full of enthusiasm and excitement and set about breathing life back into this Cotswolds inn. The pub itself helped them make a good start, a Grade II listed Georgian building of honey coloured Cotswold stone, it is bursting with character and original period features and enjoys spectacular views over the surrounding landscape from its hill top setting. It has private parking and a large garden to the rear and is easily reached from Moreton in Marsh, Chipping Campden, Broadway and Stow on the Wold. 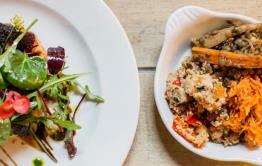 With Will and his kitchen brigade delivering mouth-watering menus and Tom and the front of house team offering a warm welcome and efficient service, word spread quickly of the hospitality at the Horse and Groom. As the business has grown, so has Will & Tom's knowledge and experience allowing them to improve and evolve their offering. Living by their Mum's motto of "you are only as good as your last meal" this desire to evolve and innovate remains today and the personal pride the brothers take in the success of the Horse and Groom means they are as hands on as ever. The light and airy bar is well stocked with real ales and wines and the beautifully restored dining room, with its blazing log fire, makes a welcoming setting in which to enjoy fantastic home-made food. 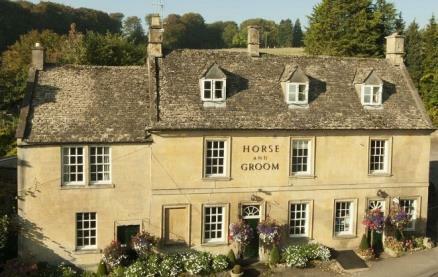 And if you are planning to be in the Cotswolds for a little longer, the Horse and Groom offers sumptuous B&B accommodation in their individually styled bedrooms. 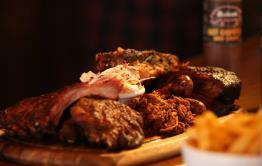 Be the first to write a review and share your experience at Horse and Groom with other diners. 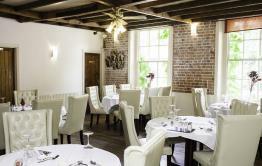 Highly recommended - fabulous tasty food, great range of drinks and impeccable service.